Extra, extra! Bear Country School has started its very own newspaper, and the cubs can't wait to get started. But when teachers and administrators start seeing ugly rumors about themselves printed in the paper, things take a quick turn for the worse. Can the cubs fix the situation and get their paper back on track? 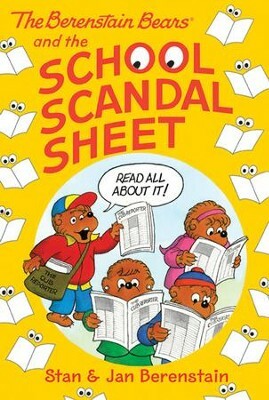 I'm the author/artist and I want to review The Berenstain Bears Chapter Book: The School Scandal Sheet - eBook.